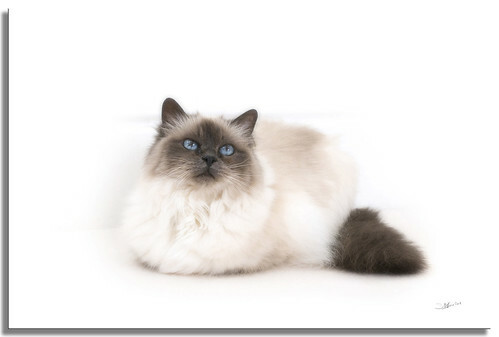 A Birman Temple Cat called Bluebell. For information on my commissions visit my web site - Pet Portraits by Sally Jane Photographic Art. THIS IMAGE MAY NOT BE USED FOR ANY PURPOSE WITHOUT MY EXPRESS PERMISSION.